Included 6997 patients requiring fluid administration to increase intravascular volume. normal saline in 28-day mortality. The median crystalloid volume was essentially 1000 mL, indicating that the typical patient likely only received one dose of IV fluid while in the emergency department. The potential renal toxicity of saline is particularly impressive given the relatively small volume of IV fluid administered in this study. Patients receiving balanced-crystalloids instead of saline were less likely to have a low serum bicarbonate (< 20 mmol/L, 24.9% vs. 28%, p<0.01) and less likely to have an elevated serum chloride (> 110mmol/L, 15.2% vs. 19.3%, p<0.01). Balanced-crystalloids (with lactated Ringer’s containing 4 mEq/L of potassium) did not increase serum potassium levels compared to saline (p=0.61). Among non-critically ill patients in the emergency department requiring IV fluids, balanced-crystalloid IV solutions (Primarily lactated Ringers) does not reduce hospital-free days but may have some impact in reducing major adverse kidney events compared to normal saline. Primary endpoint (all-cause mortality, need for mechanical ventilation, COPD readmission, or intensification of pharmacologic therapy) at 30-days was improved with corticosteroids (23% vs. 33%, p=0.04, NNT 10) and 90-days (37% vs. 48%, p=0.04, NNT 9). Although not statistically significant, those receiving corticosteroids has more days hospitalized for reasons other than COPD (4.4 vs. 1.2 dayS, p=0.07). In patients with COPD exacerbations, corticosteroids decreased treatment failure and hospital length of stay but increased hyperglycemia and showed a trend towards more non-COPD hospitalizations. There was no difference between a 2-week and 8-week corticosteroid regimen. 60% of patients were CAM-ICU positive at baseline. Dexmedetomidine reduces the prevalence of ICU delirium (54% vs. 76.7%, p<0.001, NNT 4) and increased delirium-free days (2.5 vs. 1.7 days, p=0.002). Dexmedetomidine was equivalent to midazolam in achieving sedation goals, but there was reduced ICU delirium and duration of mechanical ventilation with dexmedetomidine. with a history of hypertension, a higher MAP goal was associated with a reduction in the need for renal replacement therapy. Primary endpoint (30-day mortality) was no different between revascularization and medical-therapy (46.7% vs. 56.0%, p=0.11). Protocol compliance was very high. Within the revascularization group, 97% underwent coronary angiography and 87% received revascularization. Similarly, only 2.7% of medical stabilization patients were revascularized within 54 hours of randomization. Included 249 patients from 11 ICUs in Germany with APACHE III scores 2 70 and at least two SIRS criteria. Following diagnosis of SIRS, patients needed to be enrolled within 24 hours and begin treatment within one hour of inclusion. Of the 249 randomized patients, 11 withdrew for a variety of reasons, which formed the 249 intent-to-treat (IT—l) patients. Of the I’l’l’ group, 49 patients (21%) were excluded due to protocol violations (typically drug administration failure), which formed the 189 per-protocol (PP) patients. The study’s adverse effect analysis was questionable and not robust. Adverse effects were common, but no specific adverse effect was attributed to selenium in this study. The benefit of selenium is hypothesized to involve selenium- dependent glutathione-peroxidases (GPX), an enzyme responsible for redox reactions. GPx-3 activity is negatively correlated with severity of sepsis. In this trial, serum selenium and GPx-3 levels were higher in patients receiving selenium treatment. The study was significantly underpowered, used a one-tailed analysis, and relied on a per-protocol analysis for demonstrating a trend toward efficacy. To date, this is the most robust selenium trial for ICU Patients, but due to methodologic flaws, the efficacy of selenium is still controversial. Selenium supplementation was not associated with a decrease in mortality among a heterogeneous ICU population with SIRS criteria; however, a favorable trend was noted. Analgesic and sedation medications could include an opioid (morphine, hydromorphone, fentanyl) or a benzodiazepine (midazolam, lorazepam). Propofol and dexmedetomidine were NOT permitted. There is debate why this trial is in direct conflict with the Kress 2000 and ABC trials. This trial used a nursing-driven, protocolized sedation strategy that targeted a lighter sedation strategy than the other trials. In mechanically ventilated patients with a light sedation strategy, daily interruption of sedation did not improve patient outcomes. In fact, interruption was associated with higher opioid and benzodiazepine requirements. The median cumulative crystalloid volume was essentially 1000 mL in both groups, indicating that the typical patient only received one dose (1 L bag) of IV fluids while in the ICU. The potential renal toxicity of saline is particularly impressive given the relatively small volume of IV fluid administered in this study. The study did not specifically analyze a dose-response effect demonstrating that larger doses of crystalloid magnified the effect on the primary endpoint. Patients receiving balanced- crystalloids instead of saline were less likely to have a low serum bicarbonate (< 20 mmol/L, 35.2% vs. 42.1%, p<0.001) and less likely to have an elevated serum chloride (> 110 mmol/L, 24.5% vs. 35.6%, p<0.001). Balanced-crystalloids (with lactated Ringer’s containing 4 mEq/L of potassium) did not increase serum potassium levels based on similar peak serum potassium levels and similar instances of serum potassium exceeding 5 mmol/L. The results of this trial are in agreement with SALT-ED, suggesting that even smaller closes (about 1 L) of saline may cause harm compared to balanced-crystalloids, particularly as it relates to the rate of renal toxicity. Among critically ill patients, balanced- crystalloid IV solutions (lactated Ringers or Plasma-Lyte A) reduces major adverse kidney events (the composite of death, renal replacement therapy, or doubling of baseline serum creatinine) compared to saline. Primary endpoint (28-day mortality) was not different between the two groups (52.5% vs. 48.5%, p=0.10). Among patients with all types of shock, mortality rates were not different between norepinephrine and dopamine, although norepinephrine was more effective as a vasopressor and was less associated with arrhythmias. Norepinephrine may have a mortality benefit over dopamine in a subset of patients with cardiogenic shock. 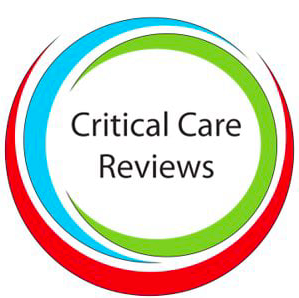 Included 2278 patients in four New Zealand ICUs who required IV crystalloid fluid. Patients requiring renal replacement therapy were excluded. Very few patients with a high likelihood of mortality were included. Because patients in this trial did not receive large quantities of crystalloid fluid (median 2000 mL), it is unlikely that the hyperchloremic “toxicity” of normal saline would be evident. Further, the study did not include a significant number of patients who are most at-risk for AKI (eg, septic shock, severe trauma, etc). Among a very heterogeneous ICU patient population, the incidence of acute kidney injury was not different between relatively small crystalloid volumes of Plasma-Lyte 148 compared to normal saline. Compliance with the study protocol was less common among the control group (72.7% vs. 81.8% compliance, p=0-02)- In both groups, protocol violations were mostly due to prolonged antibiotic durations. The study was stopped early for futility and funding after enrolling about half of the planned patients and was significantly underpowered. Statistically, the study demonstrated that if a difference does exist, the difference in the primary endpoint is either an absolute 7% in favor of a short course or an absolute 8% in favor of a longer course of antimicrobial therapy. While the authors discuss that the difference of less than 10% is not clinically meaningful, many clinicians would find such a difference important (eg, a primary endpoint rate of 20% vs. 150/0). Among patients with complicated intraabdominal infection and adequate source control, a shortened antibiotic duration of 4 days was not different in surgical-site or recurrent intraabdominal infections versus a longer course (about 8 days as guided by clinical symptoms). Two doses of concentrated albumin in patients with spontaneous bacterial peritonitis reduced renal impairment and mortality compared to placebo.